Most people that purchase real property in New Jersey, have no idea why they should purchase title insurance. And they definitely don’t understand why their mortgage lender is requiring them to do so either. We at South Jersey Settlement Agency (SJSA) believe it is our duty to educate consumers so that they not only understand what it is they are paying for, but that they have a clear view of the protection a title insurance policy provides. Because real estate is such a valuable possession and investment, consumers need to take time to understand exactly what title insurance is and what it isn’t. Real estate land records (both residential and commercial) typically have a very long and convoluted history as it relates to ownership and liens which have occurred throughout the history of the property. All too often buyers contact our agency to say they want to purchase a property that the seller told them is free and clear, but then the title search reveals quite a different story. Although buyers may confirm the seller’s claim through county land records that there are no current mortgage liens outstanding, little do they know the county search is only our first stop! Establishing a property is free and clear of mortgages is the easy part. The fact is, there are several layers of searches required before anyone can determine a property is clear for transfer of title. And buyers are cautioned never to purchase real property in New Jersey without obtaining a full title search along with an owner’s policy because it is the only protection they will have against future claims against the property. While it is extremely important to know if a property is owned free and clear or if there are open mortgages or other types of liens on record, it is equally important to determine the party selling the property has the legal right to do so and whether or not they have additional obligations that could potentially attached to the property which you are about to own. If you don’t take the time to properly search the land records in addition to the past owners, you could be putting your investment at risk. Even though the current recorded deed may reflect the seller is in title which would give you, the lay person, the impression they have the right to sell, this isn’t always the case. Likewise, if the person(s) selling has had financial difficulty along the way (or if they are currently experiencing financial difficulty), that additional debt could attach to the property you are about to own. This, in itself, should alarm you to never purchase a property without obtaining an owner’s title insurance policy. And truth be told, we run into these circumstances all the time. Our job is to protect your investment. We do this by making sure no other parties have an interest in the property along with confirming any/all debt that can and will attach to the property is satisfied before you take possession. Under no circumstances do we protect the seller, your realtor, or any other entity involved. We protect only “YOU”, the buyer as well as your lender who has agreed to provide financing so that you can achieve the dream of homeownership! Example A: The seller may have purchased the property years back, but since the original purchase that person got married and the couple has either occupied the property as a primary marital residence during their marriage or still do. In New Jersey, the seller’s spouse would have marital rights to the home and must join in on the sale. And if the parties are in the process of a divorce and the individual selling did not tell you about it and that person does not join in on the sale, you can and will, mostly likely, get sued by that spouse. Example B: The person in title is now deceased and the person selling the property claims he/she is the executor of the estate and that person believes they have the right to sell. That’s not always the case. Only the Last Will in Testament of the deceased party can tell us that individual has the right to sell. Likewise, if the individual who owned the property died without a Last Will in Testament, there’s a whole other route the title agency must take before they can establish the property is suitable for conveyance. The title insurance company is also responsible for making sure all inheritance taxes are paid in accordance with state and federal requirements. Our job is to drill down on all the little details before we proceed with a deed transfer from one party to another. Your title insurance policy will protect you (and your lender if you are obtaining financing) against all of these things…especially unlawful acts by parties who may not have the right to sell. Example C: The seller may have decided at the last minute to get a second mortgage or a HELOC that has not yet been recorded. Or perhaps a private mortgage by a family member. You might find this to sound a bit odd, but the hard truth is that our world is littered with dishonest people. If this happens, your title insurance policy will protect you but if you don’t purchase an owner’s title insurance policy, your investment is unprotected and you could, for lack of better words, inherit the debt and will, most likely, get sued. The examples above are just a few things that can cloud title. There are other layers the title insurance company will research such as open municipal items and superior court judgments. If a seller has a superior court judgment (IE: child support, division of motor vehicle lien, income tax liens, credit card liens, etc.) that judgment will attach to the property and will need satisfaction prior to conveyance. If debt is not satisfied before you take title to a property, you can and will most likely inherit the debt because it attaches to the property. Only an owner’s title insurance policy will protect you against these sort of problems. Many articles have been written that state “title insurance is like a stockade fence around your property, protecting it from pirates who might creep out of the past”. Chances are you’ll never file a claim, but for sure you’ll be very happy to have an owner’s title insurance policy if any of these circumstances arise. Just as health insurance companies refuse to insure people with a history of medical problems, title insurance companies refuse to insure properties with a history of legal uncertainties. When you finance a property, your lender will require that you purchase not only an owner’s title insurance policy but also a lender’s title insurance policy. And they do so because just like you want your investment protected, they want their investment protected as well. Many consumers never get the low down from their realtor or mortgage loan officer as to what title insurance is and the benefit it brings them. They often relay that title insurance as a “necessary evil” because it can be the single most expensive line item to appear on the good faith estimate your lender provides which outlines all the charges in connection with your loan. But the truth is that title insurance is the single most important part of the deal for you as well as your lender. Simply stated, it’s the key to your security. The biggest mistake consumers make, is believing if the seller is selling the property, then the title must be clear. Quite often, this is NOT THE CASE. Many properties evidence clouds on title for all the reasons given in the examples herein…and then some. 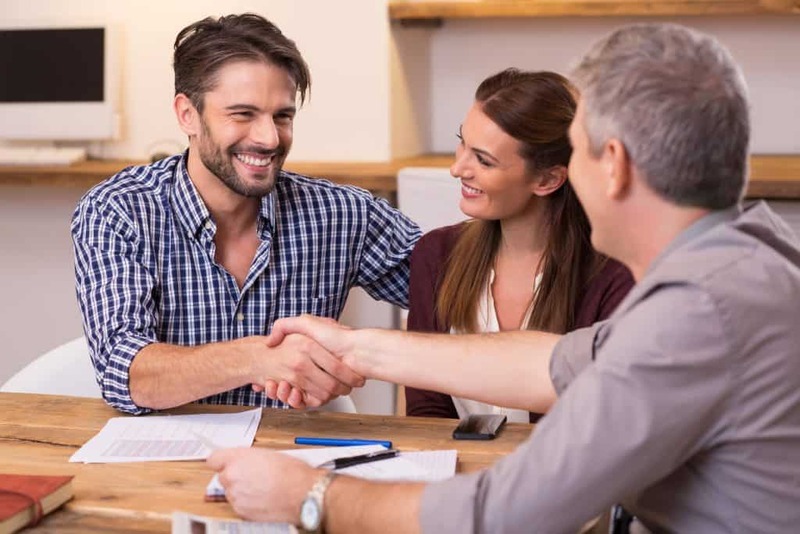 As a consumer, first and foremost, you should always be sure your contract allows you to select your own title insurance company. Exercise CAUTION if your agent or the seller tries to talk you out of selecting your own title insurance company. In New Jersey, title insurance is buyer’s choice and a seller and/or real estate agent cannot (and should not) coheres any purchaser to select a specific title insurance company. It’s the law! If your real estate agent tells you it’s in your best interest to use the title company offered by the seller or even the agency they prefer, the simple and honest truth is that they are not looking out for your best interest and you should, most likely, find someone else to work with. Be smart with your investment and do some fact-checking. Most importantly, work with a title company that has your best interest at hand first…not your real estate agent, not the seller, or any other entity. Just yours! This will most likely be the single most expensive investment of your life. Protect it like it’s your baby! While title insurance premiums are regulated by the Department of Banking and Insurance, the add-on fees can and will vary. Often consumers are up-charged because realtors and lenders have affiliated business relationships (otherwise known as kick- backs) with a title agencies and the add-on charges only benefit them…and not you. Don’t be afraid to research and fact-check to ensure every dollar you are spending is valid and necessary. Locking arms with a seasoned title insurance company, like SJSA, that is familiar with running into all the “what if’s” that can occur will be one of the best decisions you will ever make. Your title company is there to protect you and any other insured party (such as your lender if you plan to finance your project). We know you want the property but you never want to take possession of a property unless you are confident there are no title deficiencies. We implore consumers and investors to “smart spend” and safeguard their investment. SJSA is a reputable title insurance company focused on you, the consumer. Our main focus is to provide you with bulletproof protection against future claims should something arise later down the road. Period, end of story! Contact SJSA today at 856.690.1121 for a free consultation of all things related to purchasing real property in New Jersey. Very informative, and I appreciate the real life examples contained with. I want to express thanks to the writer for rescuing me from this particular trouble. Right after scouting through the the web and getting thoughts which were not beneficial, I believed my life was over. Living without the presence of strategies to the issues you’ve solved through the write-up is a crucial case, and the ones that might have adversely affected my entire career if I had not encountered your site. Your main mastery and kindness in touching all the things was very useful. I am not sure what I would’ve done if I had not come across such a point like this. I can also at this moment look ahead to my future. Thank you so much for your skilled and effective guide. I will not be reluctant to suggest your web site to any individual who desires tips about this matter.